Steaming in Second Life Quality Hosting for your 2nd Life! Want to offer 24/7 streaming audio for your Second Life ? 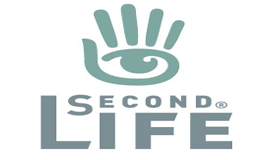 With instant activation, you can have your Second Life radio up in no time! The Centova Cast makes running your own streaming instener radio station EASY! Upload your MP3's, create station ID's, provide your Second Life friends with links to all major media players and much more!